Researchers predict less algae on Lake Erie this year compared to last, but that doesn’t mean no algae. On a scale of one to ten, with ten being the most severe, Lake Erie’s algae blooms are predicted to be at a six this summer. That’s an improvement from last summer, when they were categorized at an eight. Richard Stumpf is an oceanographer with the National Oceanic and Atmospheric Administration. He says, there’s a real simple reason they’re predicting fewer and smaller algae blooms. "Less phosphorous came into Lake Erie this year than last year. That’s the key point." Stumpf and his colleagues at NOAA use models that look at rainfall and runoff to determine how severe algae blooms might be one year to the next. This spring was particularly dry, he says, which helped contain some of the chemicals that typically cause Erie’s blooms -- which is good news for the people around that lake, but what about other lakes in the region, particularly inland lakes in New York with their own algae problems? "Each lake has a different combination of factors that drive the blooms." Stumpf says you can’t assume all lakes will experience fewer and smaller blooms, although the dry weather is a good indication that this summer will not be as bad as the last. 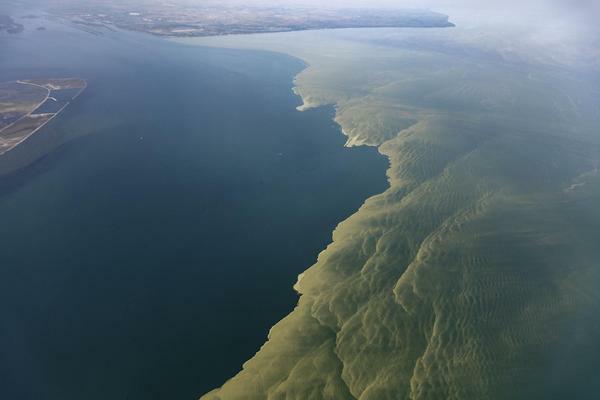 In the meantime experts warn people near the water - Lake Erie and otherwise - to avoid algae, some of which can produce toxins that may be harmful to people and animals.